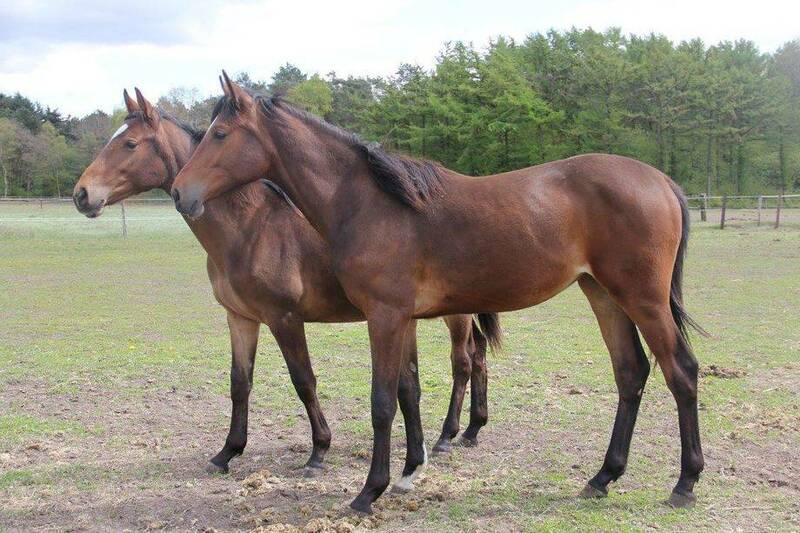 Saddened by the loss of her Kannan filly, we have decided to switch stallions for Gwen this year and have chosen the young and talented Glenfiddich VDL. 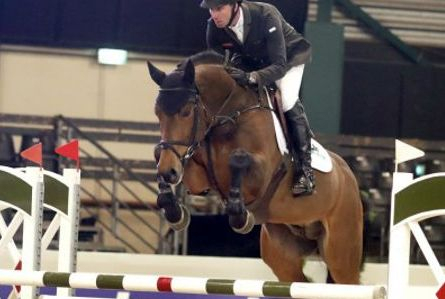 The only approved son of Bacardi VDL (Ridden by Jos Lansink, he won a Silver medal at the World Championships for 7-year old jumpers in Lanaken in 2013), Glenfiddich descends from one of the best French parent lines. 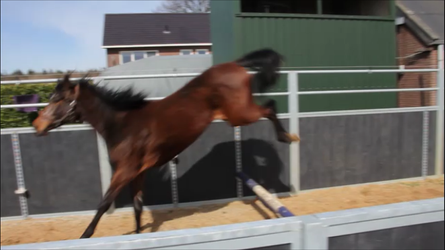 Glenfiddich is a well developed stallion with unlimited power, a very good jumping technique and a lot of overview. He canters with lots of power. 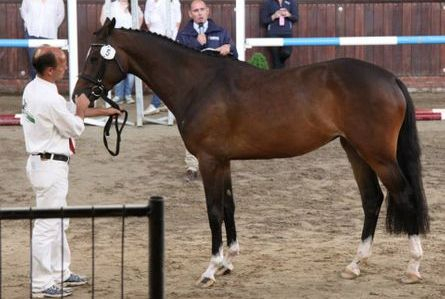 He had a good performance test where he scored a total of 79 points (8.5 for his ability and 8's for his canter, rideability and attitude and his talent as a jumper). 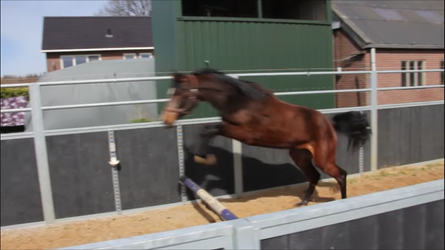 We think he will be a great match for our Gwenhwyvar, adding size, scope and power to her wonderfully feminine appearance and great gaits! This beautiful filly was born at 11:45pm on Sunday March 20th - a wonderful gift on this first day of spring!! I am proud to say that Ladyhawke has been selected by the VDL family to represent the quality of offspring produced by Glenfiddich VDL. 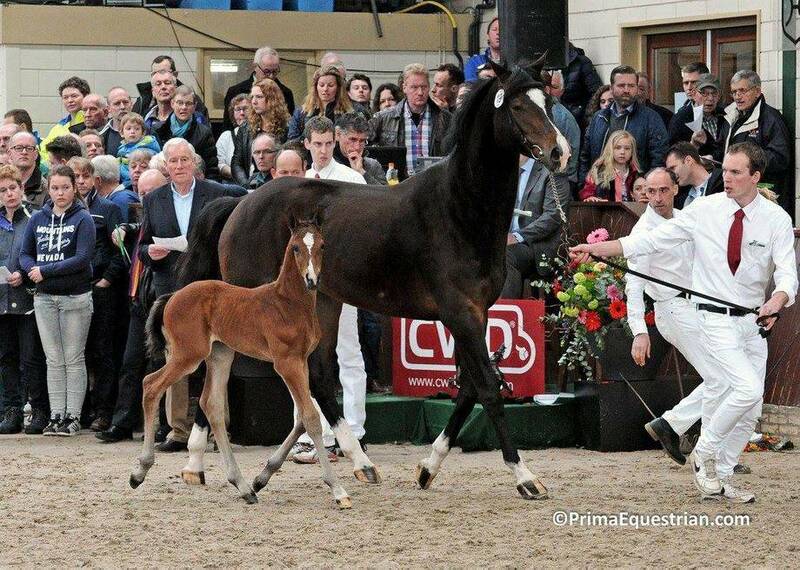 This is the first foal crop that will be presented at the annual stallion show. Ladyhawke is everything that we could have hoped for the cross of Glenfiddich VDL with Gwenhwyvar!! I am so excited to see her as she develops over the next couple of years as she is being retained for a future sport and breeding career.